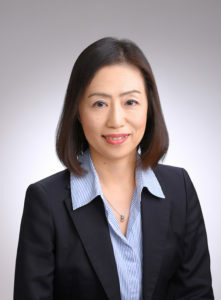 Junko Ishibashi is a solicitor in Japan (Gyosei Shoshi), expertise of International Legal Affairs, IP licensing, Immigration, and Corporate Law. If you need advice from the person knowing foreign laws, obtaining eligibility to stay in Japan or abroad (Certificate of Eligibility, Change of Status, or general visa matters), or contracts, written in Japanese or English, review or draft, our office will take care of these matters both in Japanese or English. -Our office will accept the international transaction, secretarial and legal affairs for the individual, or corporate clients. -Our office will advise and process on behalf of you about the permission or renewal of stay, visa application, and establishment of corporation inside or outside of Japan. our office willingly accepts to draft, review or negotiations of the agreements both in English and Japanese. Modification of Japanese Inheritance Law – Holographic Will or Attested Will? Association of Gyosei Shoshi in Japan, “Legal authority for your town”. (C) 2019 Ishibashi Legal Office. All rights reserved.